(Farm and Dairy file photo. Not an actual orphan well). SALEM, Ohio — The Ohio General Assembly is considering a bill that would significantly increase the amount of funding available for plugging idle and orphaned wells. Known as H.B. 225, the bill requires 45 percent of the revenue in the state’s Oil and Gas Well Fund to be used to fund the plugging process, compared to 14 percent in current law. The state estimates there are around 700 known orphan wells — some dating back to the 1800s — which have been abandoned and are no longer producing. Some of these wells present safety hazards because of the equipment protruding above ground, and the potential for water and environmental contamination. The Ohio House passed the bill unanimously Jan. 17, with 96 favorable votes, and it is now being heard in the Senate Energy and Natural Resources Committee. These wells were drilled before modern regulations were written, and many were never properly plugged. According to the Ohio Department of Natural Resources, orphan wells have been found under buildings, houses and streets, as well as in lawns and recreation areas. Some of the signs you may have an orphan well include the presence of a large diameter pipe or wellhead, an area where vegetation will not grow, the odor of crude oil or natural gas, the odor of rotten eggs, or your water well is contaminated by saltwater, crude oil or natural gas. Bill supporters say they want to increase the spending as a way of assuring more wells get filled, and that more funding stays within the Oil and Gas Well Fund. Some $15 million was removed from the fund last year to help fund a legal settlement against ODNR over property damage near Grand Lake St. Marys. And additional money was taken from the fund to help with the state budget. H.B. 225 precludes future funds from being used to settle state lawsuits and also precludes moving those funds into the state’s general fund. “There was really not a sense of urgency on orphan wells, even though they’re one of the greatest threats to groundwater in Ohio,” said Ohio Rep. Andy Thompson, R-Marietta. Reporting process. The bill also includes provisions meant to simplify the landowner reporting process, and to clarify who will pay for the plugging. 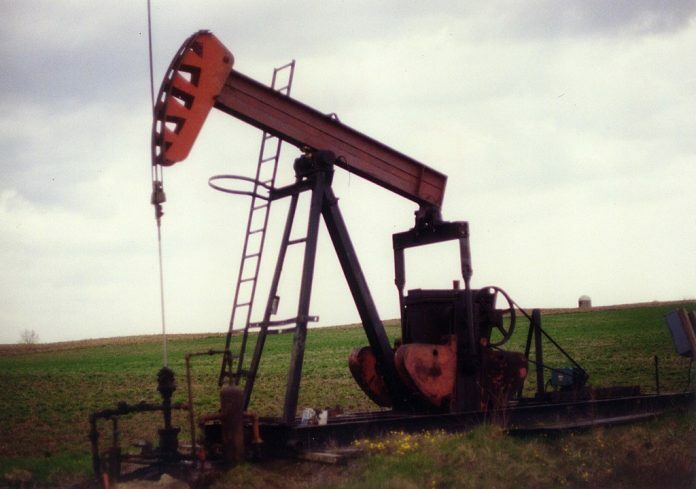 According to the bill, landowners who discover idle and orphan wells can report them to the chief of the Division of Oil and Gas Resources, and the chief is then required to inspect the well within 30 days. The chief is also required to establish a matrix for scoring idle and orphaned wells, and to use the matrix in determining which wells should be plugged first. The bill also requires the chief to pay the contractor after a well is properly plugged, rather than requiring the chief to reimburse the landowner after the landowner has paid the contractor. Rick Simmers, Ohio’s current chief of the Division of Oil and Gas Resources, testified in the House that the bill includes many changes that will improve the overall program. However, he said he was concerned about increasing the spending from 14 to 45 percent, which could require $37 million to be spent on plugging activities next year alone. Instead, he said that the amount spent on plugging should be determined during each biennial budget process, with input by ODNR and the legislature. Rx: Simple–“Farm this out” to independent contractors or non-state IRS 1099 employees. Better still–offer them a bonus or “cut of the pie” if they can identify any guilty AND solvent parties to date that the state can “tag” as financially responsible. Like a mini-Super Fund deal with an incentive. Excellent….This “common sense”…is missing from too many decision makers.. Put this man in charge!